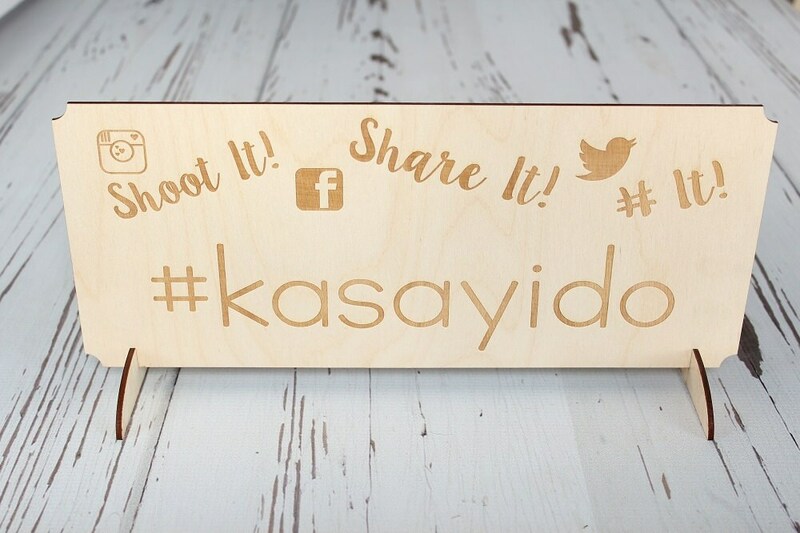 We are excited to introduce our newest social media sign to our rustic chic collection, Winter 2017. Designed, drawn and laser engraved here in The Boondocks. 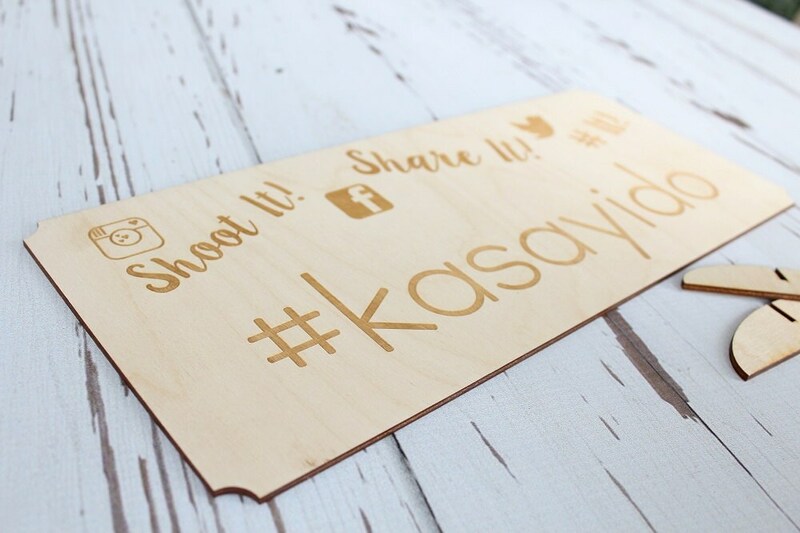 Featuring an adorable Custom Instagram, Twitter and Facebook logo as well, and your custom #. We can change the social media logos or add more just let us know which ones you would like on the sign. 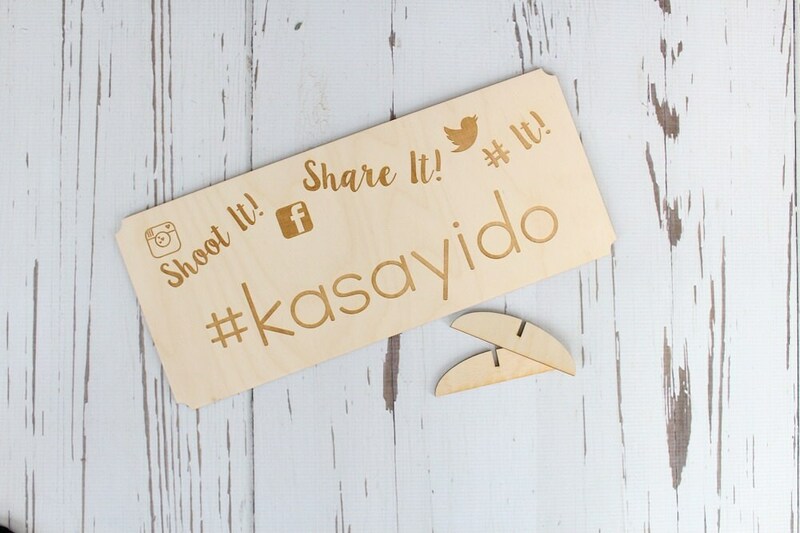 Our signs are freestanding, so they can be placed anywhere at your event. 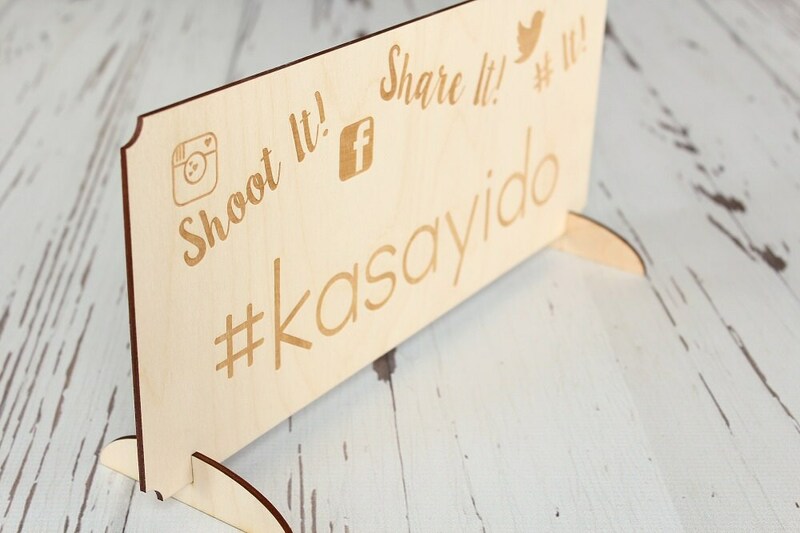 Our signs are also the perfect size to be placed on any table without taking up too much space. 1 set consists of: (1) custom sign and (2) bases for the sign. Highly recommend!! Love my signs and can’t wait to use them.